Home purchase deposit and down payment in Massachusetts explained? It is common in a Massachusetts real estate transaction for a first-time homebuyer and homebuyers new to the Massachusetts home-buying process to ask the question, "What is the difference between the deposit and the down payment?" Many times homebuyers think the two terms mean the same thing. The deposit and the down payment are not the same. A homebuyer submits a written contract to purchase real estate, commonly referred to as an offer, and negotiates (typically through his or her buyer agent) the price, terms and conditions of the property purchase. Upon acceptence of an offer or counteroffer, the parties each sign an agreed upon written offer. The homebuyer hires a home inspector to do a home inspection and conducts other due diligence. The homebuyer and seller sign a Massachusetts purchase and sale agreement (“P&S”), which replaces the original contract to purchase. Homebuyer obtains a loan commitment from a lender on or before the financing contingency deadline in the P&S. 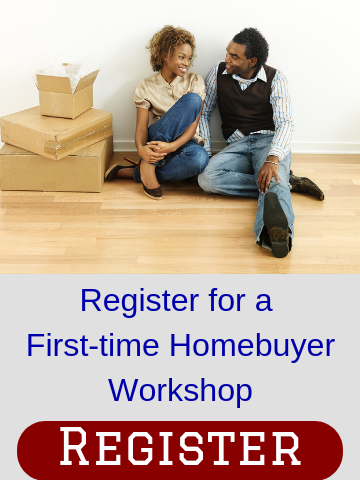 Homebuyer does a final walkthrough and signs legal documents at the closing. When the homebuyer and seller are negotiating the real estate transaction, the amount of the deposit(s), like all substantive terms and conditions, are negotiable. The deposit is sometimes referred to as the "earnest money deposit." Although negotiable, typically there is an initial deposit of $1,000 when the parties sign the offer. A more substantial deposit – often 5 percent of the purchase price, but sometimes less or more depending on various factors – is made when the parties sign the P&S. For example, with a $400,000 purchase price, a homebuyer would make a $1,000 deposit at the time of signing the offer and an additional deposit of $19,000 at the time of the signing of the P&S, for a total deposit of 5 percent. If a homebuyer is taking advantage of a first-time homebuyer program that doesn't require as much cash on hand, the total deposit might be less than 5 percent. 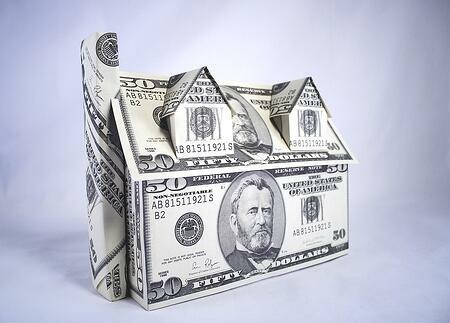 The deposits are held in escrow, usually by the listing agent’s office or seller’s attorney. Whoever is holding the deposit is acting as an escrow agent and owes duties to both sides in accounting for the monies being held. If there is a dispute between the parties, the escrow agent has to hold the money in escrow pending either mutual assent to release the money or a court order. The purpose of the deposit(s) in a contract to purchase and purchase and sale agreement is to bind the buyer to the transaction by creating a penalty for breach of contract. To be clear, almost any standard form offer contract and P&S will have provisions that protect a homebuyer by providing a home inspection contingency, mortgage financing contingency, contingencies that the property have clear and marketable and be in substantially the same condition at the final walkthrough as at the time of the home inspection. If the homebuyer timely cancels the offer or P&S pursuant to any valid contingency, the buyer is entitled to a full refund of deposit(s), with no risk of penalty. With that said, the deposit provides for a forfeiture provision, if the homebuyer cancels for any other reason – cold feet, change of heart, loss of employment, etc. Under those circumstances, the seller has the right to retain the deposit(s) as “liquidated damages,” which means the seller cannot sue the homebuyer for additional damages, such as lost profits or other costs. The down payment is the amount of principle/equity a homebuyer “puts down” at the closing to purchase a property. If it’s a cash transaction, there really isn’t a down payment, the entire purchase price is what the buyer “puts down.” In a financed transaction (a purchase with a mortgage loan), the simple equation of money the buyer needs to bring to the closing is: Down Payment + Mortgage Loan + Closing Costs = $$$ needed at Closing. “Closing Costs” are all costs associated with the purchase, such as lender fees, legal fees, pre-paid items and other costs. But where does the deposit fit in? The homebuyer has already submitted some amount of money to the seller, and that money is held in escrow until the closing. Let’s use this example: You're purchasing a $200,000 home; total deposits are 5 percent ($10,000) and your're putting down 20 percent ($40,000 down payment). The deposit binds you to the property. If you do not cancel the contract, you get your $10,000 deposit back at the closing; therefore, you show up with $40,000 ($10,000 deposit + $30,000 your bring) for the down payment + $160,000 from your lender (mortgage loan) + closing costs. In the case of a 5 percent total down payment, you would only need to bring the amount of your closing costs to the closing because the deposit would cover the down payment. A different example could be that you're also receiving a buyer credit from the seller (also referred to as a seller concession) at closing for authorized closing costs. Let's say that your closing costs are $6,300, and you are receiving a $5,000 buyer credit at closing from the seller. In the 5 percent total down payment example above, your deposit would cover the down payment, and you would only need to bring $1,300 for closing costs to the closing instead of $6,300. The most important thing for a homebuyer to remember is that deposit(s) are at risk, if you breach the offer contract or purchase and sale agreement, so homebuyers should carefully consider the risks and work with competent professionals.